Costs – What do you expect to pay for tree services in Reno, Nevada? Don’t pay more than you need to. Look at what other homeowners are paying. FAQs – What kind of tree do you want in your yard? Are you sure it’s going to survive in the climate? Check out the information we’ve compiled about Reno tree culture before you take any steps. Services – Find a local arborist to help you with the tree removal or planting process today. How Much Do Tree Services Cost in Reno? Known to many locals and visitors as “The Biggest Little City in the World,” Reno is often eclipsed by Las Vegas, its much larger neighbor. However, Reno is an exciting and appealing destination for many. If you live in Reno, or are thinking about making the move soon, this cost guide can help you price professional tree services like stump grinding, tree trimming and tree removal. In Reno, having a tree professionally removed can cost anywhere from $533 to $801, depending on the diameter and height of the tree. Removing an entire tree is a big project, but it’s one that professionals can handle in as little an hour. By tethering the tree, they can bring it down safely without damaging any surrounding structures. Homeowners can choose between keeping the chopped wood for themselves or having it hauled away. Expect to pay anywhere between $84 and $146 to have one stump removed in Reno, Nevada. Having a stump on your property is unattractive, but it can also be a potential danger if you trip over it or fail to see it in the dark. There are several DIY methods to remove stumps, but the most effective and efficient option is simply to hire a professional to come in and use a commercial stump grinder. Many people think that tree trimming and pruning isn’t a necessity in a hot climate, but that couldn’t be further from the truth. Pruning and trimming ensures that the right branches get nutrition and water. Hiring a professional helps guarantee that trees remain in great condition year-round. In Reno, tree trimming and pruning service generally cost between $394 and $562 for a single visit. 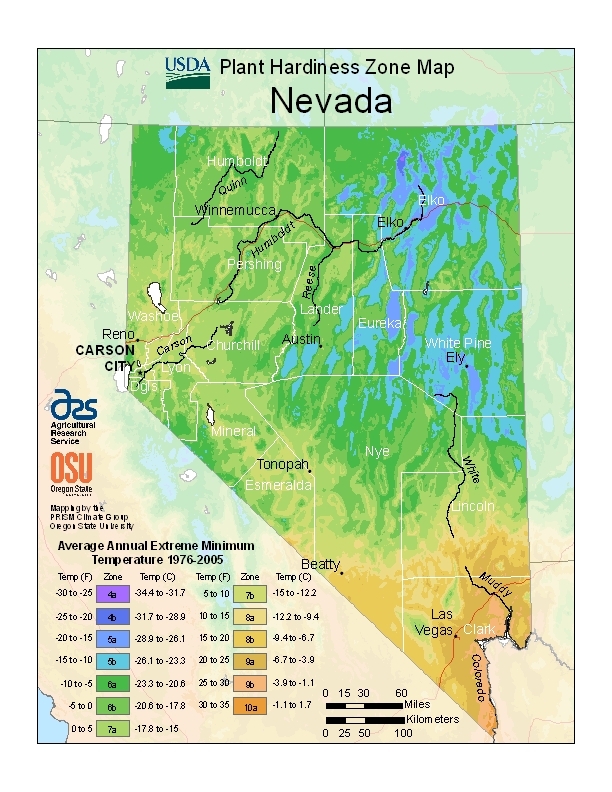 Although Reno has a desert climate and very little rainfall, trees are still an integral part of the ecosystem. However, it does take more care and maintenance to ensure that they grow properly and remain healthy. Whether you are a homeowner in Reno ready to change up the landscaping or you are simply curious about tree facts in Nevada, this guide can provide you with a wide selection of tree information for the desert climate. Because of the low rainfall in Reno, there is a significant effort on behalf of the City of Reno to conserve water and prevent hazardous materials from going into storm drains. However, there are no actual tree removal regulations in place for the area. As long as a tree is entirely on your property, rather than on a neighbor’s property or partially in public space, you are free to remove it on your own. Generally, property owners should remove trees in Reno outside of the rainy season, which is April to October, as that could remove topsoil or cause erosion. NV Energy is the primary electricity provider to Reno and the surrounding area. One of their jobs is to maintain the trees and branches close to overhead power lines, and they do not recommend that individuals trim these on their own. Instead, you can submit an online request for maintenance, and it will be taken care of as quickly as possible. NV Energy also has a Right Tree, Right Place campaign that encourages individuals to plant only short trees within 25 or even 50 feet of any existing overhead power lines. Since tall trees require lots of water that has to make its way from the roots to the top of the highest branches, Nevada has fewer extremely tall trees than many other locations. In arid climates, shorter trees are abundant, and there are trees as tall as 160 feet, such as the California red fir, near lakes Tahoe and Spooner. While most states have just one officially designated state tree, Nevada actually has two. In 1953, the Bristlecone pine, or Pinus longaeva, was honored as the state tree of Nevada. These incredible trees are some of the oldest living things on the planet, and some within the state have been dated to be more than 4,000 years of age. These pines tend to be found at high elevations in the state. In 1987, Nevada added another official state tree to the roster: the Single leaf piñon, or Pinus monophylla. 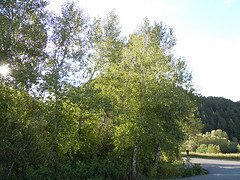 These trees are more common, and they are found all over Reno. If you think that fruit trees can’t grow well in Reno’s climate, then you are in for a pleasant surprise. In reality, there are a number of fruit trees that can thrive with proper watering and maintenance. Some of the best options for home gardeners include yellow apples, certain persimmon varietals, and sweet and sour cherries. As you might guess, trees that can’t handle the extreme temperature changes in Reno tend not to do well in this environment. When looking for a tree that will thrive, take a look at its designation by the USDA, or United States Department of Agriculture. Reno is classified as Zone 7a, which means that trees as close to that number as possible will tend to be the best pick. Unfortunately, insects and diseases can negatively affect the trees in Reno, and they can be incredibly problematic for property owners. Some of the key things to look for include pine needle blight, sycamore anthracnose and Dutch elm tree disease.